More than 37 million Americans suffer from migraine. This vascular headache is most commonly experienced between the ages of 15 and 55, and 70% to 80% of sufferers have a family history of migraine. Less than half of all migraine sufferers have received a diagnosis of migraine from their healthcare provider. Migraine is often misdiagnosed as sinus headache or tension-type headache. Many factors can trigger migraine attacks, such as alteration of sleep-wake cycle; missing or delaying a meal; medications that cause a swelling of the blood vessels; daily or near daily use of medications designed for relieving headache attacks; bright lights, sunlight, fluorescent lights, TV and movie viewing; certain foods; and excessive noise. Stress and/or underlying depression are important trigger factors that can be diagnosed and treated adequately. Approximately one-fifth of migraine sufferers experience aura, the warning associated with migraine, prior to the headache pain. Visual disturbances such as wavy lines, dots or flashing lights and blind spots begin from twenty minutes to one hour before the actual onset of migraine. Some people will have tingling in their arm or face or difficulty speaking. Aura was once thought to be caused by constriction of small arteries supplying specific areas of the brain. Now we know that aura is due to transient changes in the activity of specific nerve cells. The pain of migraine occurs when excited brain cells trigger the trigeminal nerve to release chemicals that irritate and cause swelling of blood vessels on the surface of the brain. These swollen blood vessels send pain signals to the brainstem, an area of the brain that processes pain information. The pain of migraine is a referred pain that is typically felt around the eye or temple area. Pain can also occur in the face, sinus, jaw or neck area. Once the attack is full-blown, many people will be sensitive to anything touching their head. Activities such as combing their hair or shaving may be painful or unpleasant. Diagnosis of migraine headache is made by establishing the history of the migraine-related symptoms and other headache characteristics as well as a family history of similar headaches. By definition, the physical examination of a patient with migraine headache in between the attacks of migraine does not reveal any organic causes for the headaches. Tests such as the CT scan and MRI are useful to confirm the lack of organic causes for the headaches. Many factors may contribute to the occurrence of migraine attacks. They are known as trigger factors and may include diet, sleep, activity, psychological issues as well as many other factors. The use of a diary to record events that may play a role in causing the headaches can be useful for you and your healthcare provider. Avoidance of identifiable trigger factors reduces the number of headaches a patient may experience. Healthful lifestyles including regular exercise and avoidance of nicotine may also enhance migraine management. Non-pharmacological techniques for control of migraine are helpful to some patients. These include biofeedback, physical medicine, and counseling. These, as with most elements of migraine, need to be individualized to the patient. The Food and Drug Administration (FDA) has approved three over-the-counter products to treat migraine. Excedrin® Migraine (a combination of aspirin, acetaminophen and caffeine) is indicated for migraine and its associated symptoms. Advil® Migraine and Motrin® Migraine Pain, both ibuprofen medications, are approved to treat migraine headache and its pain. The use of other prescription anti-inflammatory agents may be effective for some migraines. These agents may have gastrointestinal side effects, which limit their use since larger than normal doses may be required to treat the migraine attack. Migraine-specific therapies are designed specifically to treat migraine attacks. Ergotamine preparations are no longer readily available. Dihydroergotamine (DHE) may be used for self-injection. DHE is also available as the nasal spray Migranal. A combination product containing isometheptene (Midrin®) is not usually effective for migraine. Sumatriptan (Imitrex®), a 5-HT agonist, is available in self-injectable, nasal spray and rapidly-dissolving tablet forms. Other 5-HT agonists are almotriptan (Axert®), naratriptan (Amerge®, rizatriptan (Maxalt®), zolmitriptan (Zomig®), frovatriptan (Frova®) and eletriptan (Relpax®). All are available in tablet form. Both rizatriptan and zolmitriptan are available in an orally disintegrating tablet (Maxalt-MLT and Zomig-ZMT), which can be taken without water. Zomig also comes in a nasal spray. Abortive medications are most effective when taken early in an attack, while the pain is still mild and before skin sensitivity increases. The goal is complete relief of pain and associated symptoms, allowing the sufferer to quickly return to normal functioning. Some attacks may not be eliminated by abortive therapy, yet the patient requires pain-relieving measures. Due to the severity of the headaches, some patients may require a narcotic analgesic, but if the patient is experiencing frequent migraine attacks habituating analgesics should be avoided. Butorphanol (Stadol®) is available for intranasal administration and is not typically associated with dependency problems, but may result in dependency if used regularly for pain relief. Alternative medical treatments with medications belonging to the group known as the Phenothiazines have proven useful as non-analgesic options for treating severe migraine headaches. Patients with prolonged migraine attacks lasting more than 24 hours are experiencing status migraine and corticosteroids may be used in these cases due to their anti-inflammatory effects. If patients have frequent migraine attacks, if the attacks do not respond consistently to migraine specific acute treatments, or if the migraine specific medications are ineffective or contraindicated because of other medical problems, then preventive medications should be given to reduce the migraine frequency and improve the response to the acute migraine medicines. Cost considerations also may lead to increased use of preventive medications. The FDA has approved four drugs for migraine prevention. These include , timolol (Blocadren®), topiramate (Topamax®) and divalproex sodium (Depakote®). These have had many years of use and make up the majority of the items considered ‘first line’ therapy for migraine prevention. Amitriptyline, which is an antidepressant, may also be very effective as a migraine preventive. All migraine preventive medications require that adequate doses of the medicine be given for a sufficient length of time to determine the effectiveness. Titration of the doses may be needed to reduce adverse effects to medicines. There are a host of alternative choices for patients whose headaches do not respond to the first line medications. These include calcium channel blockers, NSAIDs, a variety of antidepressants and several miscellaneous medications. As an alternative to drug therapy, this training uses special equipment that monitors physical tension to teach the patient how to control the physical processes that are related to stress. Once familiar with this technique, people can use it, without the monitoring equipment, to stop an attack or reduce its effects. Self-hypnosis exercises are also taught to control both muscle contraction and the swelling of blood vessels. This patient-directed therapy, with the clinician serving as a guide or teacher, should be practiced daily. Children have an excellent response to biofeedback training, since they are open to new methods, learn quickly and have not become firmly entrenched in a chronic pain pattern. Diagnosing migraine depends on clear communication with your healthcare professional. There is no test to show that you have migraine — diagnosis is made by discussing the history of your symptoms. Often, tests that are conducted are done to rule out other potential conditions. Schedule a visit with your healthcare professional, and be prepared for your visit. Keep a headache diary, and consider completing a MIDAS questionnaire, a short list of questions designed to help measure the impact of migraine on your life before your visit. 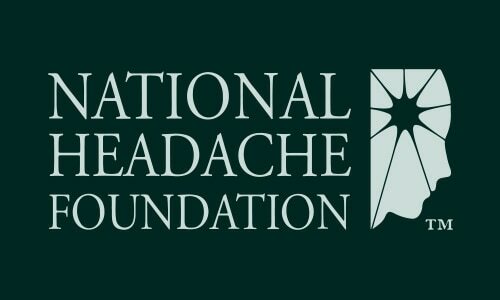 View NHF Videos on Migraine on YouTube.